Auditory Processing is known in my circles as the best-kept secret in education because not many people know about it, yet it affects so many aspects of everyday life. We are talking here about your auditory short-term memory. The dangers of low auditory processing have been one of my major focuses at home school convention across the country for more than 20 years. This auditory deficit has reached epidemic proportion and now officially has its own label – CAPD, Central Auditory Processing Disorder. There are varying degrees of deficiency in the area of auditory processing, and I contend that it is one of the root causes of many learning labels such as dyslexia, ADD and ADHD. At the very least it is exacerbating a negative situation for children that are struggling whether they are gifted, typical or have diagnosed learning disabilities. Review of the four steps to learning: Receiving, Processing (visual and auditory), Storing and Utilizing Information. 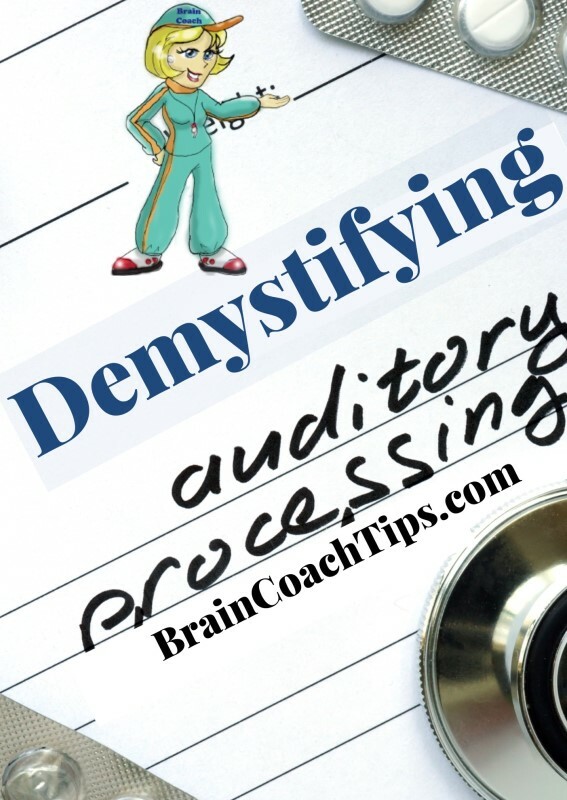 Processing is only one of the steps to learning but it makes sense if you can’t get a good amount of information into your auditory short term memory then it is hard to store much in your long term memory for later use. Learn to test for and improve auditory processing regardless of age. Find solutions for reading problems when phonics is not working well for a child. Discover keys to opening the full potential for gifted individuals.